Mini Militia also called as doodle army 2 is one of the most addictive and time killing multiplayer shooting game. It has gone quite popular in recent times. 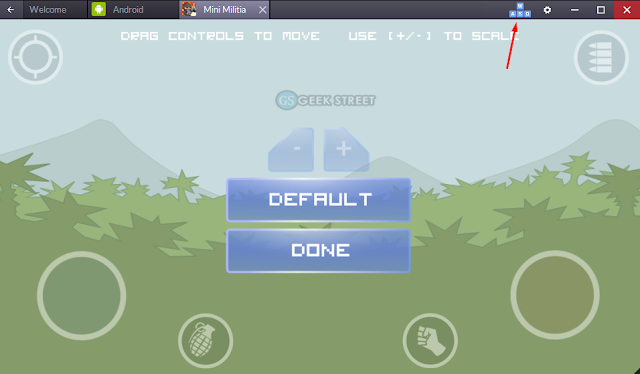 The developer Appsomniacs has developed Mini militia for android and iOS devices. But it would always be fun to play mini militia on computer. Because you will have a large screen and its controls are quite easy. The game play will be completely interactive when you play doodle army 2 on windows pc. So without wasting much of your time let me get into the steps of "How to download and install android in your windows PC?" 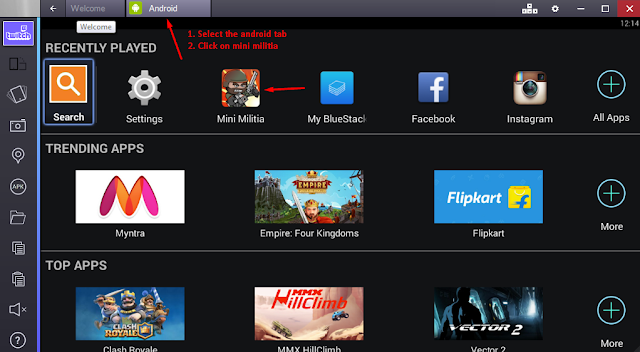 HOW TO DOWNLOAD AND INSTALL MINI MILITIA FOR PC WITH BLUESTACKS? 1. 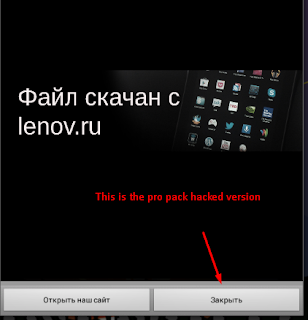 If you don't have bluestacks already then download the latest version from the above link. 2. Download the mini militia apk file for pc and save it in your computer. 3. Tap on the downloaded apk file. 4. 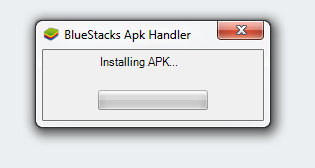 Now it will get installed in bluestacks within a few seconds. 5. Then open the bluestacks emulator and then tap on android. You will find mini militia icon as you find in the below image. Click on the icon once. 6. 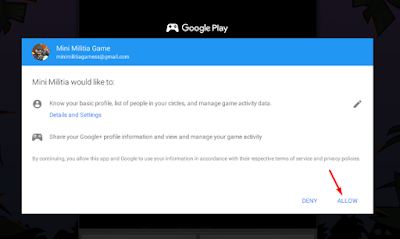 Now provide permission to google play by select "ALLOW" button. 7. Next select on the option as displayed in the below image. 8. That's it guys. Now the main page of the game will appear. 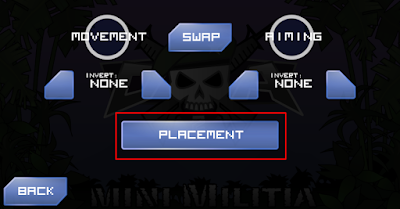 Next we have to set up the controls for game play of mini militia. 1. 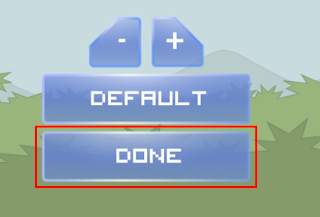 Select the "SETTINGS' options from the main page. 2. 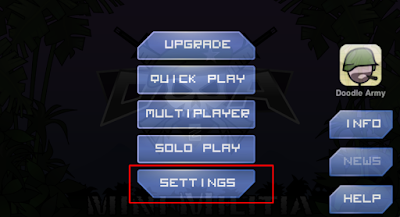 Then select the "CONTROLS" option from the settings page. 4. Next choose the "KEYBOARD MAPPING" option at the top right. 5. Then you will find an EDIT option at the right side. Then the following screen appears. Now comes the main part. 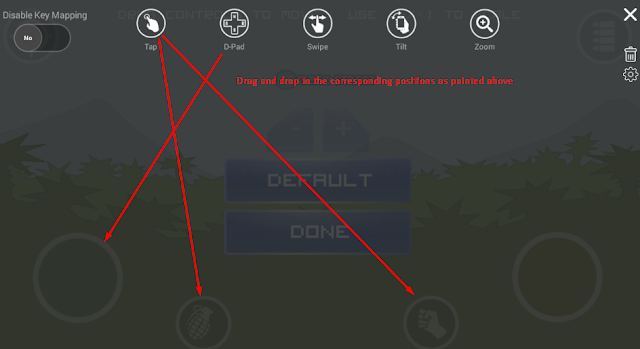 You have to drag and drop the controls as indicated with arrows. 6. First select the D-Pad option at the top and drag it and place over the movements. Place it exactly at the center of the movement control. 7. 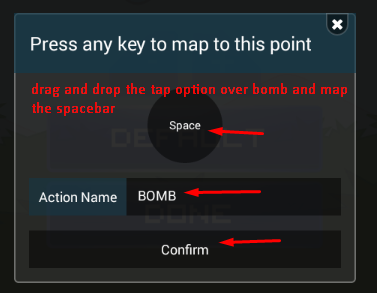 Similarly drag and drop the TAP option over the BOMB and PUNCH controls. 8. Then you have to configure the letters for each controls. 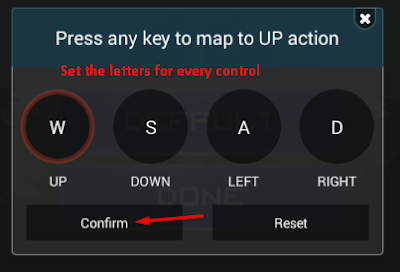 To do so select the D-Pad and then enter the Keys for each options like UP, DOWN, LEFT and RIGHT. Then choose confirm. 9. 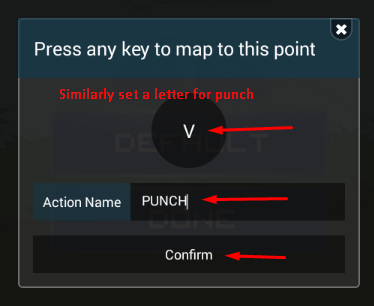 Similarly for BOMB and PUNCH select keys like SPACE and V respectively. 10. 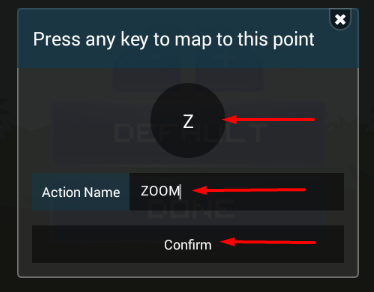 Next configure the ZOOM button as per you wish. 11. Once it's all done, you will find something like the one in the below image. 12. Now tap on the close button and you will finally need to save the controls. It may opt you to sign in into your gmail account if you are configuring it for the first time. 13. After the selecting you are done with the controls. 14. It's time to start the game play. 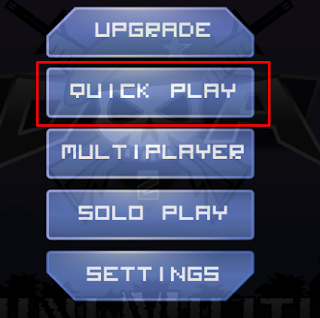 You can play mini militia online with your mates by selecting the quick play option. 15. 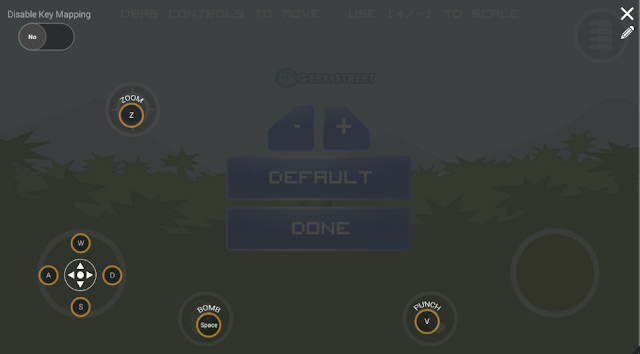 Once the game has started you can control it with the keys that you have configured before. 16. For shooting you have to use the mouse control. 18. It's time to experience the multiplayer game with big screen and awesome interface. I know that it's a bit difficult to understand these steps. So here we have come up with a video which will help you to set up the controls on bluestacks to play mini militia on computer. Hello Dear, Thanks for your Mini Militia Game post. i am a Big Fan of Doodle Army 2. can you give me Latest Mod version?